Scholarship is the financial aid which is provided to encourage meritorious students, and to prevent them from discontinuing their education on the grounds of non-affordability. The deserving students of Pakistan can apply for financial assistance at intermediate level through different financial aids provided by different organizations in Pakistan. Brilliant students can get scholarships on merit bases and need base. 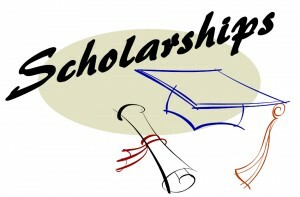 Usually two types of scholarships are provided to the students i.e. merit based and need based. Merit based scholarships are provided to students on base of their talent and their excellent academic results. Private institutes in Pakistan have the rule of giving scholarships to their students scoring highest positions in class. The students start getting this scholarship from grade 1 but the only must thing is that they should be top 3 achievers of the class. Need based scholarships are provided to the talented deserving students in order to prevent them from discontinuing their education on the grounds of non-affordability. In Pakistan HEC (higher education commission) has arranged for the students from rural areas from Pakistan who are most likely to leave their education due to financial problems to get these scholarships. It has been decided to award 6000 scholarships in time period of 2018-2020. The main reason to do so is to increase percentage of educated people in Pakistan which is also helpful for betterment of Pakistan’s reputation. At matric level many colleges and educational institutes provide merit based scholarships to the talented students. Merit-based awards are granted to the brilliant students according to the admission merit list. Many national and multinational companies working in Pakistan also offer merit base scholarships to the talented students of Pakistan. Government of Pakistan also announces local scholarships for needy students. Generally at matric level students are given monthly stipend of Rs 1000 Rs to Rs 3000. Some scholarship schemes include books, uniform and other expanses. At matric level students can avail PEEF scholarships. The Punjab Educational Endowment Fund (PEEF) is a program governed by the Government of Punjab to establish opportunities for the bright boys and girls students. PEEF is established with the objective of providing scholarships to talented and needy students for pursuing quality education with equal opportunities. The students who have passed Punjab Examination Commission’s (PEC) held Grade VIII examination in 2013 and secured above 60% marks can avail this scholarship. PEEF scholarships are announced every year for students. Hello sir/madam i am Sawera Lakho belongs from sindh Pakistan, I study in St.Bonaventure high school Qasimabad Hyderabad and study in class 8. I want to get more educated and i want scholarship for 9th class in biology . If you selects me I will me very thankful of you. I hope you will select me. Assalam o alikum Sir!I am the student of class 10.I have got 471 marks in class 9.I think,I deserve both types of scholarships.Kindly, help me. Me I am a good student??? Sir/Madam, Hope you r fine .i need scholarship i have recently passed matric exams and i got 1029 marks out of 1100 …94% plz tell me what is the process to get the scholarship.